Almost all of us at some point in our lives dream of an abode that we would like to settle in. A “dream house” some may call it, and others may call it a need. Either way a house is on everyone’s mind, but only a few systematically plan for it. The key is to start early, as time is your best friend when it comes to compounding money. By the way we have a surprise for you readers! This post has an attached excel file which helps you attain your goal, which we will explain shortly. Trust me, if you are below 25 years of age and have just started working, the best thing you can do is to start accumulating a corpus. The corpus is the single largest hurdle that a prospective house buyer encounters. 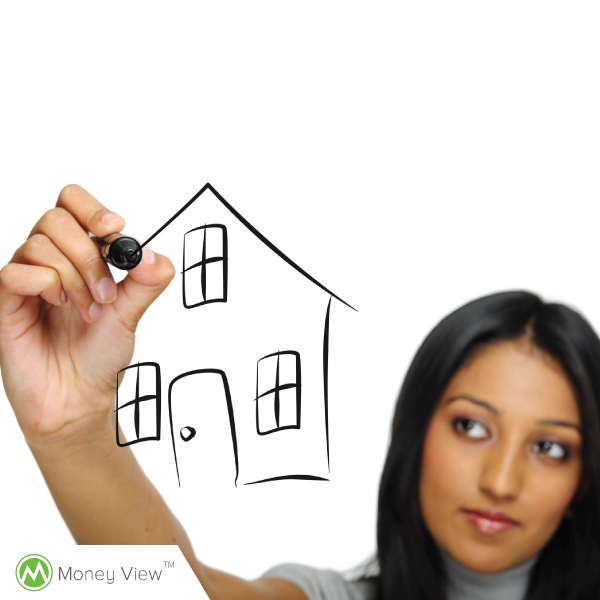 The thought of buying a house for most of us occurs around the age of 30-35, sometimes older. At that age we might be earning enough to qualify for housing loan, but we struggle for the 20% upfront corpus. At the moment most banks offer loans up to 80% of the house value. They won’t give you more even if you earn a bomb! Start accumulating the corpus right away. So, How Much to Save? Your initial investment: This is the corpus (saving) you already have. If you have saved nothing (I hope not), please input zero. How much do you wish to invest per month: This is the SIP amount you can put away today. What percentage you wish to increase your investment per month: We get salary raises every year, so our SIPs will also increase. If you don’t wish to increase SIP % every year, please input zero. Expected Rate of Return: This is the tricky one, for which nobody has an answer. It is reasonable to expect 12% but if you think you may get higher with your investments feel free to change it. Number of years for Reaching Goal: This is the time in which you desire to reach your goal. Present cost of your Dream House: This is the present value of the house you desire to own in the desired time frame. This varies from city to city. Now, after you feed in your inputs the tool comes up with the Output (see below). The output is whether your accumulated corpus meets the entire house value in the desired time frame. Please don’t be alarmed if the tool says you will fall short. The deficit amount can be borrowed as bank loan, if you are eligible for the amount. To make the tool more sophisticated, we have even provided you with a button (see screenshot below), which if you press will automatically calculates the required monthly SIP you need! So you don’t need to perform a trial and error exercise to find out the exact SIP amount required to reach your goal. Isn’t this fantastic? Go on, download the spreadsheet and play with it. See where you stand now and what you need to do to achieve your goal of owning your dream home. Please also let us know your experience of using this tool in your comments. Investing in an asset that beats inflation i.e real estate and mutual funds. You can buy a small house in the outskirts when you start your career. A house is an emotional asset, more than a financial investment. Your financial planning can help you satisfy your family’s emotional need. Arjun Balakrishnan is an investment fanatic who loves writing about investment topics. He regularly writes at Investment Gyaan. The article is very nice but i didn’t found the excel spreadsheet in ur website. So request you to please send it my mail ID (chrujeevan111@gmail.com).